1. 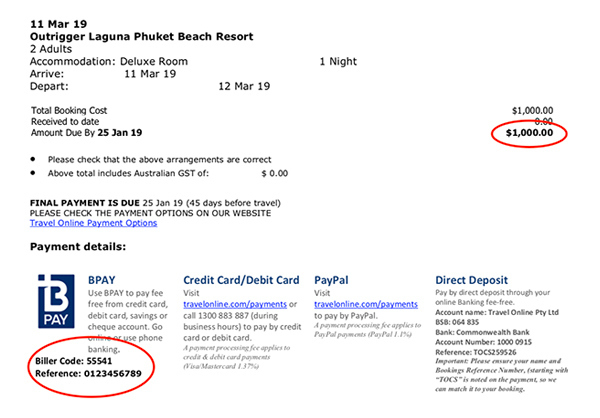 You will receive a Final Payment Reminder invoice from Travel Online. This will show your Customer Reference Number and Amount Due. TravelOnline’s BPay Biller Code is 55541. 2. Log into your internet banking & select BPay. Enter TravelOnline’s Biller Code of 55541 and your Customer Reference Number. 3. You can pay using your Credit Card, Savings, Cheque or Transaction Account, fee free!